Elementals of Light precess to Higher Vibrational levels as completion of Ascension protocols for Gaia collective takes place. Masters of Illusion cannot exist in the current energetic structure of Gaia. That term is meaningless. Freedom of perception now is experienced in all hu-mans and leads to engrandizing of individual energetics. Precession completes as Gaia Light grids solidify. Portals of BEingness open rapidly for all. We of Éireport Group wish to clarify some points about the GaiaPortal blog messages. The Essence of the GaiaPortal blog is communication on multiple levels. Those who receive a message on one level of awareness, will perhaps receive it differently from those at a different level of awareness. There is no level which is “better” than another. Each is simply unique unto itself. GaiaPortal messages may appear “cryptic” to some. However, each message communicates to multiple hu-man and Hue-man levels simultaneously. Each BEing receives the messages in their own way, from their own level. We of Éireport Group encourage the practice of “Awareness Expansion” as these messages appear. In particular, those who view a message as “indecipherable”, will find, as “Awareness Expansion” is practiced (namely, “allowed” to occur, from within), Higher Levels of awareness will be experienced. Intellect-only analysis of these messages is impossible, as the intellect operates on a level of awareness that is extremely limited, and is unable to discern the “multiple levels simultaneously” (complete) meaning of each. Pliancy of choice in relation to Gaia energetics is of paramount importance. Restitutionals complete their functions within Higher and lower energetic grid structures. Festivational relationships are in their current resting places. Foundations of chance are no more. Freeing movements are called for at this moment. Heavy Sensations Come Rapidly to the Surface in Gaia Inhabitants at this moment, for visualization, rectification, and clearing. Assistance for all those requesting is rapid and thorough. Processing of Hue-Beings and hu-beings is strong at this moment, and requires “sensation of heaviness” to call attention to energetics needing to be cleared. Such processing continues, as needed, for all Gaia inhabitants, primarily during the autumnal equinox to 10-10-14 period. Collective processing follows as needed. 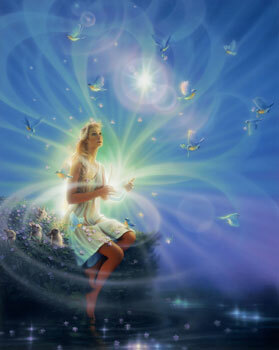 Gaia Energetics clarifies on several levels at once, which intensifies the “sensations of heaviness”. Elements of dissolution favor Gaia’s growth into Higher Consciousness. Such elements have continually been seeded into corrupted Gaia energy grid structures during the past millennium, and, at a highly elevated rate, during the past seven months, and will continue at accelerated pace for the remainder of this calendar year. Dissolution of old paradigm grid structures must occur prior to attainment of full awareness, necessary for ascension. hu-manity overall consciousness advancement has slowed during the past months, however, this is soon to change, and rapid acceleration is expected shortly. Structures of intuition are solidified. This enables Hue-Beings to find energetic connections to essences required for next Ascension protocols. Secondary energy grids support the primary. Fathoms of shadows are now en-Lightened. Presumptive pathways have been cut. Clarity is the only reality. Supremacy of Higher Light transformations remains a constant as Gaia arises in consciousness. Separation of lower vibrationals from Gaia ascendant occurs via quantized steps. Lower vibrationals can not subsist with Gaia ascendant and are being left behind as Hue-Beings and hu-beings travel the ascendant path. Extraneous constructs fall rapidly as currents rise. Cross-dimensional realizations occur within each species, and in grand rapidity, at this moment. Stationaries have released, as incoming Golden Light infuses the planet. Sedentary pathways are no longer traversed, and no longer viable. Flashpoints soon reveal to the hu-manity masses, as night sticks are burned. Coordinations occur at the Highest Levels of Gaia energetics to support the incoming Light.